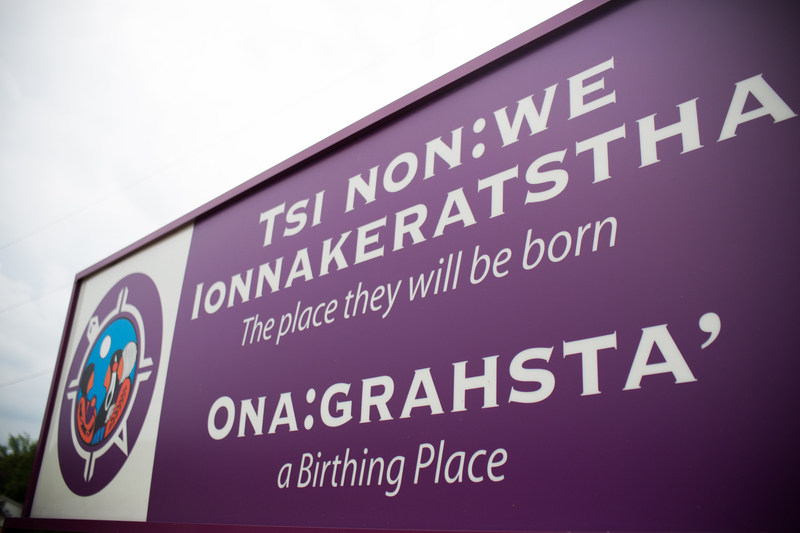 Since May 1996, the Aboriginal midwives at Tsi Non:we Ionnakeratstha Ona:grahsta, the Maternal and Child Centre on Six Nations have been caring for women during pregnancy, labour and delivery, and after the birth of their babies. The midwives provide a balance of traditional and contemporary midwifery services and programs to complement and support clients' personal beliefs and customs. Historically, Aboriginal midwives cared for women in all seasons of life. So today, in addition to offering prenatal classes with an Indigenous component for all the women in the community (it's not necessary to be a midwifery client) and providing primary care for pregnant women, the midwives provide additional services that range from fertility counselling to screening for breast and cervical cancers to cultural teaching for women of all ages.